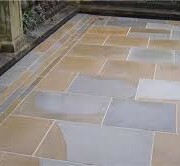 Sandstones are often relatively soft and easy to work which therefore make them a common building and paving material.Sandstone is one of the most common types of sedimentary rock and is found in sedimentary basins throughout the world. It is often mined for use as a construction material or as a raw material used in manufacturing. In the subsurface, sandstone often serves as an aquifer for groundwater or as a reservoir for oil and natural gas. Color Minor color tonal variations exist but within the tolerance limit. Porosity Low to very low. 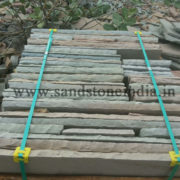 Chemically they are very resistant Mono-Mineralic rocks, principally composed of silica. The other minor constituents vary from origin to origin. They are highly resistant to acids, alkalies and thermal impact. Insolubility in acids and alkalies is about 97%. 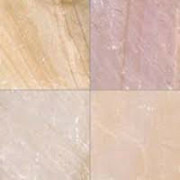 Firstly, natural stone is a unique, incomparable finishing material. It has a special look and gives just that little extra that other materials are missing. We could name it the x-factor. 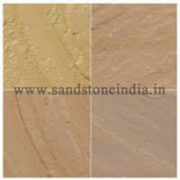 Secondly, stone provides an unmistakable added value for any property. Take a look at the property pages: the smallest stone element in a building is praised as a sales argument, just as solid wood floors are seen as a plus point. Ceramic and laminate, on the other hand, are seldom or never a sales argument. Thirdly, stone can be repaired. If, after a few decades, the floor has sustained some technical or aesthetic damage, then it is possible to have it repaired or, in extreme cases, refinished. The result is a new floor. 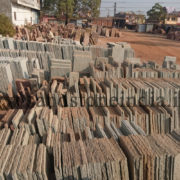 Yet another characteristic stone shares with other natural products, such as a solid parquet floor. Fourthly and finally, stone has a broad field of application. You want a floor that flows naturally into stairs in the same material? Stone. You want panelling that continues across the floor? Stone. You want a matching solid fireplace or doorframes? Stone. Wall covering or even walls? Stone. Bathroom and kitchen tops? Stone. Interior or exterior floors? Stone. In short: the possibilities are endless.